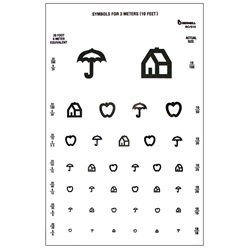 Symbol Test Chart - 10 Foot, 9" x 14"
House, Apple and Umbrella visual single-sided acuity test is used for children. 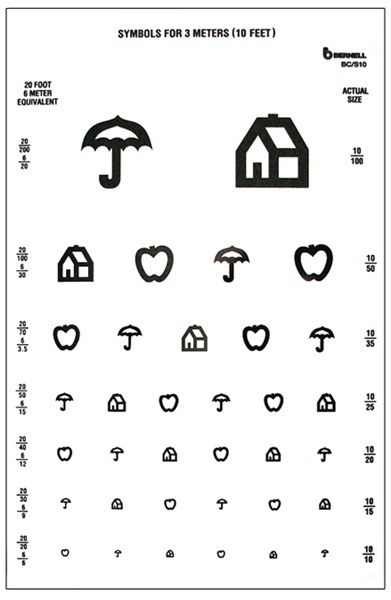 Ranges from 10/100 to 10/10 in size and measures 9" x 14". Should be viewed from 10 feet. Manufactured by Bernell. Comes as singles.